Amish Originals would like to make your Summer of 2012 the best one yet. If you assumed we only carried the best in fine Amish Furniture for inside your home it’s time to take a look at what we have for your outdoor seating space. Get a jump-start on your summer and get the furniture you need to relax in the “Great Outdoors”. You’ll be amazed at the selection of fine Amish outdoor furniture at Amish Originals. 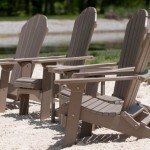 Just take a look at our best selling Adirondack Chairs or hear all about them from our radio spot here. Need more incentive? Take advantage of our Lawn Furniture Special between now and May 31st and receive a FREE cup holder (limit 3) with your Adirondack Chair purchase. It’s our small way to thank you for making Amish Originals your #1 outdoor furniture shopping destination!